HÀ NỘI — The increasing intensity and devastation caused by natural disasters continues to pose an “enormous challenge” to the nation, causing severe losses of assets and human life, and threatens to derail Việt Nam’s development, President Trần Đại Quang said in a letter penned for the 71st celebration of the Traditional Day on Natural Disaster Prevention (May 22, 1946 – May 22, 2017). 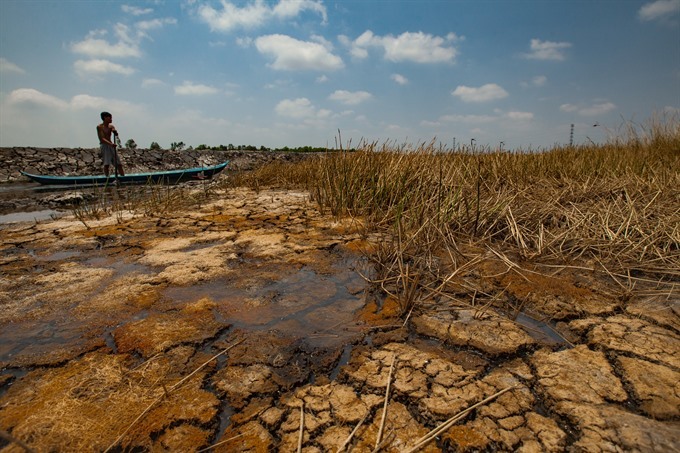 As one of five countries facing the most severe impacts of climate change, and having suffered from 20 forms of natural disaster in the last year, Việt Nam is in a perilous position. In these circumstances caution is not just advised but required. Disaster prevention must become “the responsibility of all people, no one is excluded,” according to Minister of Agriculture and Rural Development, Nguyễn Xuân Cường. “The annual disaster prevention day serves as a solemn reminder that natural disasters can strike anywhere in the country, with increasing severity,” Cường said. “Every organisation and individual, from the public or private sector, and society as a whole must stay vigilant and must adopt a proactive approach to developing appropriate coping mechanisms,” he added. The way to work around a limited State budget is to focus on awareness-raising campaigns, the agriculture minister said, adding that media organisations play a crucial role in this, from forecasting to helping with post-disaster recovery. According to the Central Steering Committee for Natural Disaster Prevention and Control – which the minister currently chairs, natural disasters last year caused a total of VNĐ40 trillion (approximately US$1.8 billion) in economic losses for Việt Nam. In the span of the last 30 years, economic losses from natural disasters cost Việt Nam an average of 1-1.5 per cent of its GDP per year, the committee said. Calamities in 2016 left 264 people dead or missing, plus 431 injured. As many as 5,000 houses were destroyed or swept away while another 360,000 sustained varying levels of damage from flooding and high winds; 800,000ha of rice and crops were damaged; in addition, millions of cubic metres of soil and rock from landslides buried traffic and irrigation infrastructure. However, as the head of MARD said, if not for the Government’s response and efforts made by people, the consequences could have been far worse. According to predictions from Việt Nam’s National Centre for Hydro-meteorological Forecasting, climate conditions this year continue to be complicated. The centre warns that some 15-17 storms and tropical depressions are expected to form in the East Sea this year, a higher number compared to the average annual rate, with three to four predicted to make landfall. In just the few first months, strange phenomena have already been observed, with an unusually warm winter and late cold spells, heralding a year of uncertain weather. “In 2016, the Government spent VNĐ5.6 trillion ($246.8 million) on prevention efforts alone, with infrastructure and other related construction not yet accounted for. This year, the “four on-the-spot motto” (leadership, human resources, means and logistics on-the-spot), which has proved efficient in the past, will continue to be the guiding principle for all localities,” according to MARD. Deputy Prime Minister Trịnh Đình Dũng, in an event named “Collaborating to cope with natural disasters,” held on Monday in Đà Nẵng, urged local governments to pre-emptively relocate people in areas prone to flooding and landslides to safer zones and support poor households to build flood-resistant houses. Last week, the United Nations Children’s Fund (UNICEF) in Việt Nam and MARD called for more investment to help alleviate children’s vulnerability against worsening natural disasters and climate change. UNICEF Chief Representative said that the Sendai Framework for Disaster Risk Mitigation and Sustainable Development goals that Việt Nam and UNICEF is working on in close collaboration gives priority to children since it will elevate the community’s resilience. Since August 2016, UNICEF and the Vietnamese Government have provided emergency aid for children and women hit by drought and saline intrusion in 10 provinces of the Central Highlands, the coastal south central region and the Mekong Delta, sourced from the Japanese Government and the United Nations’ Central Emergency Response Fund. Nearly 140,000 Vietnamese people have benefited from the effort.